After leading the firm’s Tax Practice for over 15 years, Partner Gary Bowers has retired from Johnson Lambert. While it has been bittersweet to say goodbye to Gary, we wish him well in his retirement and know that because of his efforts, he leaves behind a team of highly capable professionals who will carry on his work. 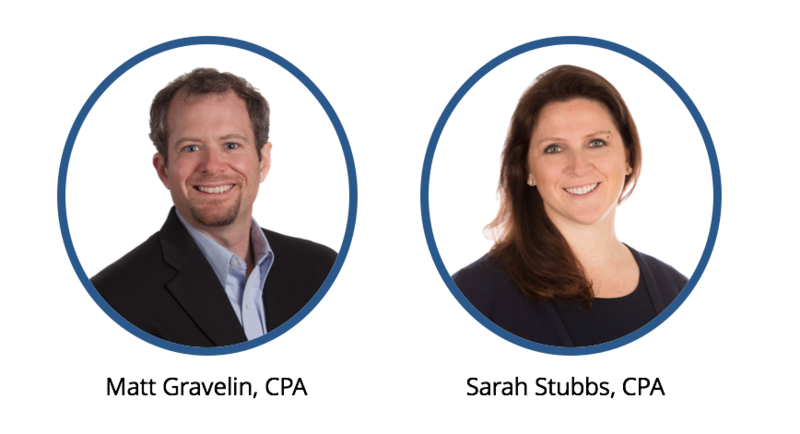 Two of these professionals are Matt Gravelin, CPA and Sarah Stubbs, CPA, who will be leading Johnson Lambert’s captive tax initiatives. As you may already know, both Matt and Sarah are highly involved in the captive industry, frequently serving as speakers on tax related topics for conferences and seminars. Johnson Lambert is excited about their continued involvement in the captive markets that we serve. Please be sure to reach out to Matt or Sarah if you have questions or concerns regarding your captive needs.